Designed to inform all those involved in shaping policing in this country, this publication provides insight from some of the most expert commentators in the field. Policing UK sets out the current issues and challenges confronting the police service at a time of change unparalleled since the 1960s. The combination of serious budget cuts and reforms to governance, national organisations, professional structures and pay and conditions have come at a time of unprecedented demand on policing. 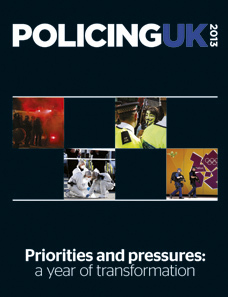 The publication describes the scope and scale of the changes and pressures on the police service, helping a political and informed readership understand the choices and professional dilemmas facing the service. 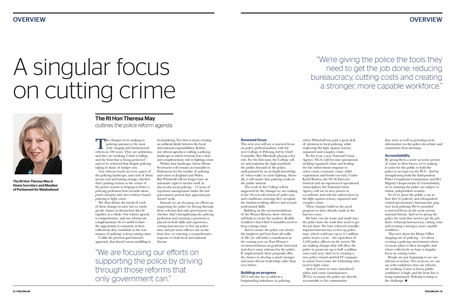 Policing UK is edited by Peter Neyroud, with articles from leading authorities, including Theresa May MP, Sir Hugh Orde, Dame Anne Owers and Sir Denis O’Connor.